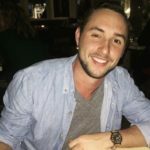 Help Cody volunteer in Rwanda! I’m very excited to be headed to Rwanda in 2019 with an amazing organization and supporting an important cause. I’ll be working with Venture 2 Impact, an organization which has a mission to transform individuals, families and communities out of poverty and into lasting well-being. In Rwanda and many parts of east Africa, one of the biggest challenges in the communities is child abandonment due to the economic insecurity of their parents – especially among single parents and young mothers. During our trip we will be working with these mothers teaching English, computer skills, and income generating and budgeting best practices so that they can qualify for better paying jobs and support their families. Personally, during my trip to Uganda in 2017 I directly saw some of the affects of this problem. Almost everywhere you looked there were small children out on their own – I’m extremely lucky to be able to go back and help to address this major issue. I am looking to raise $2,500 which will cover the costs of the volunteer experienced. Any amount would be greatly appreciated and would be going directly to my efforts to help these people, and this community. I’ll also be making sure to send lots of pictures and videos on what exactly we’re doing and the progress we make.